The Bronx Museum of the Arts organized a multi-venue artistic and cultural survey of The Young Lords Organization—a radical social activist group founded by Puerto Rican youth in the 1960s that demanded reform in health care, education, housing, employment, and policing. 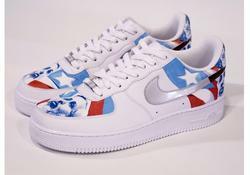 Exhibitions of art and archival materials at three cultural institutions in New York City explored how the Young Lords’ activities, community-focused initiatives, and their affirmation of Puerto Rican identity inspired artists from the 1960s to the present day, and had a major impact on the City and the social history of the United States. ¡Presente! 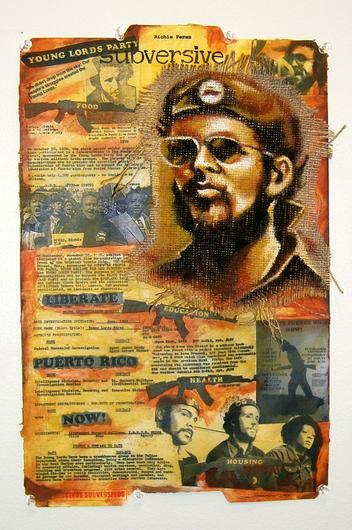 The Young Lords in New York was exhibited at The Bronx Museum of the Arts (July 2 – October 18, 2015), El Museo del Barrio (July 22 - December 12, 2015), and Loisaida Inc. (July 30 – December 1, 2015). The initiative included public and educational programs across partnering venues to build awareness of the Young Lords’ innovative contributions to the struggle for civil rights and influence on contemporary artists, and to spark conversations about grassroots community activism today. The institutions partnering in ¡Presente! 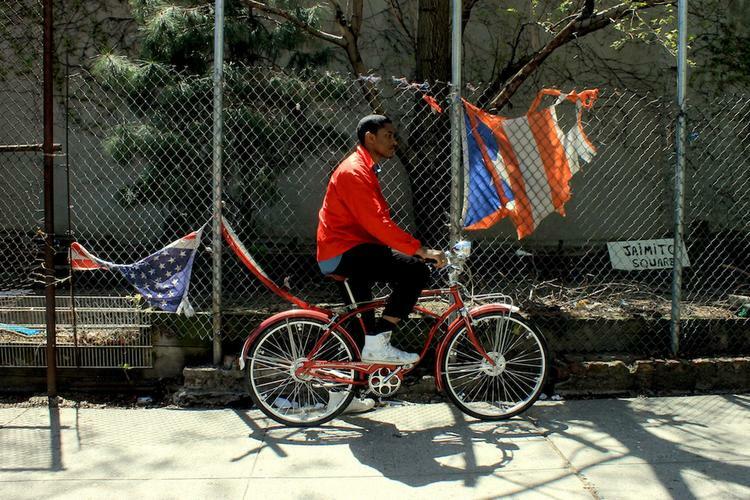 The Young Lords in New York were all located in neighborhoods where the Young Lords were most active, and each exhibition reflects on the Young Lords’ activities in that part of the City. ¡Presente! 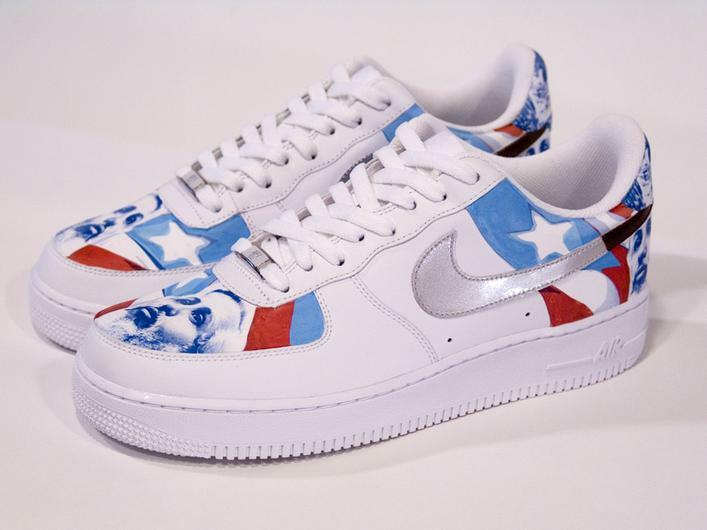 The Young Lords in New York at The Bronx Museum was organized by guest curator, scholar and professor Johanna Fernández and adjunct curator Yasmin Ramírez. 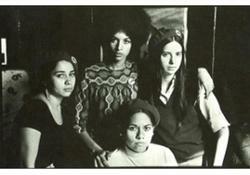 The exhibition featured more than 50 works, including paintings, installations, photographs, films, and rare archival materials that highlight the presence of women in the Young Lords, the struggle for equal representation of Latinos in the media, and community actions in the South Bronx—from the takeover of Lincoln Hospital in The Bronx and the implementation of a holistic drug detox program, to the publication of a bilingual newspaper Pa’lante. -An artistic reconstruction of the Bronx office of the Young Lords by curator Johanna Fernández and Bronx-based artist Hatuey Ramos-Fermín. -An overview of the Young Lords influence on artistic activism and production in New York featuring works in The Bronx Museum of the Arts permanent collection curated by Yasmin Ramírez. -An installation dedicated to the women in the Young Lords organized in collaboration with artist Sophia Dawson and members of Young Lords Women’s Caucus. -Free reproductions of the one-year anniversary issue of Pa’lante for visitors to take. The exhibition at El Museo del Barrio will display work related to the Young Lords’ work in East Harlem—including the organization’s series of theatrical garbage-dumping protests and their peaceful occupation of the First People’s Church. 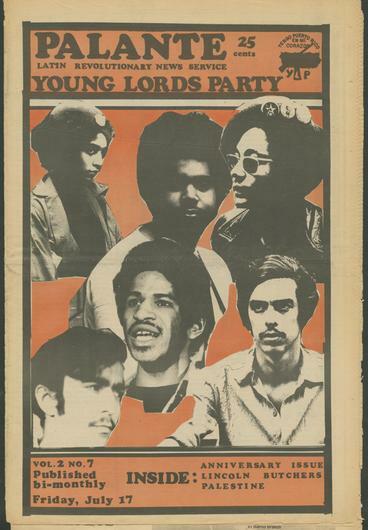 Loisiada Inc. will focus on the Young Lords’ founding in the Lower East Side—displaying rarely seen photographs and reportage of the announcement of founding of the Young Lords Party in Tomkins Square Park on June 26, 1969, and paraphernalia from the Young Lords Lower East Side offices. 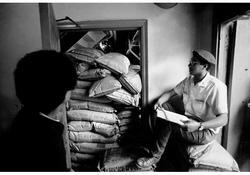 The exhibition will examine the impact of the Young Lords Gay and Lesbian Caucus. It will also focus on the cultural activism of Young Lord Eddie Figueroa, founder of The New Rican Village, an influential multidisciplinary art space on Avenue A that later became home to the legendary gay performance space The Pyramid Club. Influenced by the Black Panthers and grassroots protests against the Vietnam War, the Young Lords were a radical social organization led by poor and working-class Puerto Rican youth in the 1960s. The Lords built a nationwide movement to address the social issues afflicting their communities—such as education, health care, affordable housing, high unemployment, and police brutality. The Young Lords’ activities were innovative, highly effective, and often resulted in legal mandates that institutionalized their policies. In New York, the Young Lords’ actions included theatrical garbage-dumping protests in East Harlem and a series of audacious church and hospital occupations. 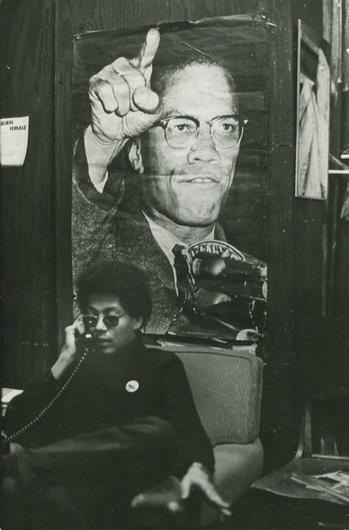 In East Harlem and the South Bronx, where the Young Lords were highly active, the organization tested residential areas for lead poisoning, provided breakfast for schoolchildren, and demanded a “13 Point Program” calling for an end to discrimination, police brutality, and mass incarceration. 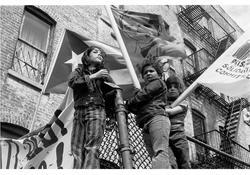 Among other victories, the Young Lords’ activities led to a formulation of a patient’s bill of rights, the passing of new housing legislation, and the building of a new hospital complex in the Bronx. film, Justice on Trial: the Case of Mumia Abu-Jamal. Her writings have been published internationally, from Al Jazeera to the Huffington Post. She gives interviews often and has appeared in a diverse range of print, radio, online, and televised media including Democracy Now! With Amy Goodman, the Fox News shows Hannity and The Kelly File, the Spanish language HITN-TV and Telemundo 47, NPR, Al Jazeera, and The New York Times. Yasmin Ramírez holds a Ph.D. in Art History from the Graduate Center of the City of New York. Currently Adjunct Curator at The Bronx Museum of the Arts, Dr. Ramírez’s prior institutional affiliations include: The Center for Puerto Rican Studies, Hunter College; El Museo Del Barrio; The Studio Museum in Harlem; The Caribbean Culture Center; and Taller Boricua. A scholar and curator, Dr. Ramírez has organized numerous exhibitions and panels, notably The Puerto Rican Art Workers and the Construction of the Nuyorican Art Movement (2014), Re-Membering Loisaida: On Archiving and the Lure of the Retro Lens (2009), and Esto A Veces Tiene Nombre: Latin@ Art Collectives in a Post-Movement Millennium (2008). Dr. Ramírez’s published essays include: Snap Shots: A Short History of the Association of Hispanic Arts (2013), The Creative Class of Color in New York (2009), The Activist Legacy of Puerto Rican Artists in New York and the Art Heritage of Puerto Rico (2007), and more. Dr. Ramírez serves on the national steering committee of the biennial conference, Latino Art Now, and the advisory board of the book series Aver: Revisioning Art History. In her former position as a Research Associate at The Center for Puerto Rican Studies, Hunter College, Dr. Ramírez oversaw the digitization of works on paper and writings on Puerto Rican artists in New York through a partnership with The International Center for Arts of the Americas, Museum of Fine Arts, Houston. Support for ¡Presente! 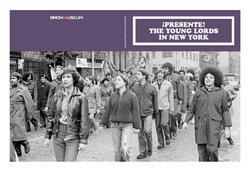 The Young Lords in New York was provided by The Cultural Services of the French Embassy in New York, the Elizabeth Firestone Graham Foundation, Milton and Sally Avery Arts Foundation, The National Endowment for the Arts, New York Council for the Humanities, The Rosenberg Fund for Children, Shelley and Donald Rubin Foundation, and Anonymous. As part of a three-site exhibition, ¡Presente! at the Bronx Museum uses archival footage, publications, photographs, and artwork to trace the intersection of art and activism amidst the Young Lords' radical civil-rights efforts. 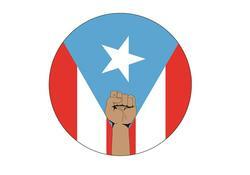 "Puerto Ricans were perceived to be mild-mannered, docile, or prone to violence. 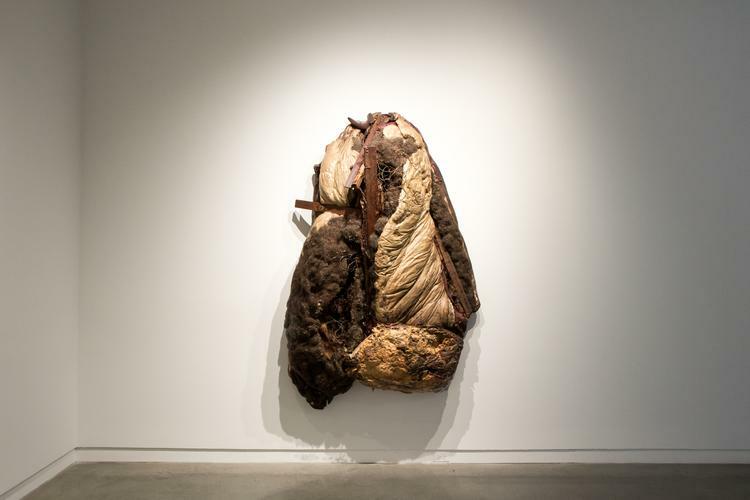 These were the stereotypes," [exhibit curator Johanna] Fernández says. "And here you have emerging a very confident cohort of Puerto Ricans who challenged perceptions." NY Times art critic Holland Cotter notes that the multi-venue initiative “departs from straight political history by presenting the Young Lords as a cultural phenomenon as well as an ideological one, with a highly developed instinct for visual self-projection.” He delves into the focus of the show at each institution, and highlights the Bronx Museum’s exploration of women within the Young Lords as well as the takeover of Lincoln Hospital. BronxNet, a public, educational, and government access cable TV network in The Bronx, featured an on-air interview with guest curator Johanna Fernández to discuss The Young Lords and the importance of the exhibition to the local community.